What interfaces are subject to the promise? What information is stored about my tunnels? How do I pronounce ngrok? Developing for webhooks issued by external APIs can often slow down your development cycle by requiring you do some work, like dialing a phone, to trigger the hook request. ngrok allows you to replay any request with a single click dramatically speeding up your iteration cycle. Click the Replay button at the top-right corner of any request on the web inspection UI to replay it. ngrok has special support for the most common data interchange formats in use on the web. Any XML or JSON data in request or response bodies is automatically pretty-printed for you and checked for syntax errors. Many advanced features of the ngrok.com service described in further sections require that you sign up for an account. Once you've signed up, you need to configure ngrok with the authtoken that appears on your dashboard. This will grant you access to account-only features. ngrok has a simple 'authtoken' command to make this easy. Under the hood, all the authtoken command does is to add (or modify) the authtoken property in your ngrok configuration file. ngrok assigns random hexadecimal names to the HTTP tunnels it opens for you. This is okay for one-time personal uses. But if you're displaying the URL at a hackathon or integrating with a third-party webhook, it can be frustrating if the tunnel name changes or is difficult to read. You can specify a custom subdomain for your tunnel URL with the -subdomain switch. Anyone who can guess your tunnel URL can access your local web server unless you protect it with a password. You can make your tunnels secure with the -auth switch. This enforces HTTP Basic Auth on all requests with the username and password you specify as an argument. Enter dev.example.com as a Reserved Domain on the Reserved tab of your ngrok.com dashboard. This guarantees that no one else can hijack your domain name with their own tunnel. On your dashboard, click on the 'CNAME' icon to copy your CNAME target. Invoke ngrok with the -hostname switch and specify the name of your custom domain as an argument. Make sure the -region you specify matches the region in which you reserved your domain. Accessing custom domain tunnels over HTTPS will still work, but the certificate will not match. If you have a TLS certificate/key pair, try using a TLS tunnel. ngrok records each HTTP request and response over your tunnels for inspection and replay. While this is really useful for development, when you're running ngrok on production services, you may wish to disable it for security and performance. Use the -inspect switch to disable inspection on your tunnel. When forwarding to a local port, ngrok does not modify the tunneled HTTP requests at all, they are copied to your server byte-for-byte as they are received. Some application servers like WAMP, MAMP and pow use the Host header for determining which development site to display. For this reason, ngrok can rewrite your requests with a modified Host header. Use the -host-header switch to rewrite incoming HTTP requests. If rewrite is specified, the Host header will be rewritten to match the hostname portion of the forwarding address. Any other value will cause the Host header to be rewritten to that value. 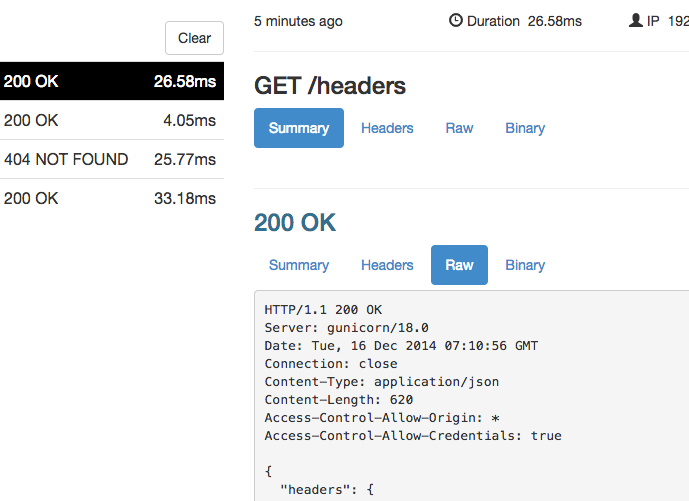 By default, when ngrok runs an HTTP tunnel, it opens endpoints for both HTTP and HTTPS traffic. If you wish to only forward HTTP or HTTPS traffic, but not both, you can toggle this behavior with the -bind-tls switch. Websocket endpoints work through ngrok's http tunnels without any changes. However, there is currently no support for introspecting them beyond the initial 101 Switching Protocols response. HTTPS tunnels terminate all TLS (SSL) traffic at the ngrok.com servers using ngrok.com certificates. For production-grade services, you'll want your tunneled traffic to be encrypted with your own TLS key and certificate. ngrok makes this extraordinarily easy with TLS tunnels. Once your tunnel is running, try accessing it with curl. Notice that --insecure option in the previous curl command example? You need to specify that because your local HTTPS server doesn't have the TLS key and certificate necessary to terminate traffic for any ngrok.io subdomains. If you try to load up that page in a web browser, you'll notice that it tells you the page could be insecure because the certificate does not match. If you want your certificates to match and be protected from man-in-the-middle attacks, you need two things. First, you'll need to buy an SSL (TLS) certificate for a domain name that you own and configure your local web server to use that certificate and its private key to terminate TLS connections. How to do this is specific to your web server and SSL certificate provider and beyond the scope of this documentation. For the sake of example, we'll assume that you were issued an SSL certificate for the domain secure.example.com. Once you have your key and certificate and have installed them properly, it's now time to run a a TLS tunnel on your own custom domain name. The instructions to set this up are identical to those described in the HTTP tunnels section: Tunnels on custom domains. The custom domain you register should be the same as the one in your SSL certificate (secure.example.com). After you've set up the custom domain, use the -hostname argument to start the TLS tunnel on your own domain. It's possible that the service you're trying to expose may not have the capability to terminate TLS connections. The ngrok client can do this for you so that you can encrypt your traffic end-to-end but not have to worry about whether the local service has TLS support. Specify both the -crt and -key command line options to specify the filesystem paths to your TLS certificate and key and the ngrok client will take care of terminating TLS connections for you. ngrok TLS tunnels make no assumptions about the underlying protocol being transported. All examples in this documentation use HTTPS because it is the most common use case, but you can run run any TLS-wrapped protocol over a TLS tunnel (e.g. imaps, smtps, sips, etc) without any changes. Not all services you wish to expose are HTTP or TLS based. ngrok TCP tunnels allow you to expose any networked service that runs over TCP. This is commonly used to expose SSH, game servers, databases and more. Starting a TCP tunnel is easy. Normally, the remote address and port is assigned randomly each time you start a TCP tunnel. For production services (and convenience) you often want a stable, guaranteed remote address. To do this, first, log in to your ngrok.com dashboard and click "Reserve Address" in the "Reserved TCP Addresses" section. Then use the -remote-addr option when invoking ngrok to bind a tunnel on your reserved TCP address. Make sure the -region you specify matches the region in which you reserved your address. ngrok permits you to bind HTTP and TLS tunnels to wildcard domains. All wildcard domains, even those that are subdomains of ngrok.io must first be reserved for your account on your dashboard. When using -hostname or -subdomain, specify a leading asterisk to bind a wildcard domain. The use of wildcard domains creates ambiguities in some aspects of the ngrok.com service. The following rules are used to resolve these situations and are important to understand if you are using wildcard domains. For the purposes of example, assume you have reserved the address *.example.com for your account. Connections to nested subdomains (e.g. foo.bar.baz.example.com) will route to your wildcard tunnel. You may bind tunnels on any valid subdomain of example.com without creating an additional reserved domain entry. No other account may reserve foo.example.com or any other subdomain that would match a wildcard domain reserved by another account. ngrok can forward to services that aren't running on your local machine. Instead of specifying a port number, just specify a network address and port instead. ngrok runs globally distributed tunnel servers around the world to enable fast, low latency traffic to your applications. ngrok runs tunnel servers in datacenters around the world. The location of the datacenter within a given region may change without notice (e.g. the European servers may move from Frankfurt to London). Reserved domains and reserved addresses are allocated for a specific region (the US region by default). When you reserve a domain or address, you must select a target region. You may not bind a domain or address reserved in another region other than the one it was allocated for. Attempting to do so will yield an error and prevent your tunnel session from initializing. An ngrok client may only be connected a single region. This may change in the future, but at the moment a single ngrok client can not host tunnels in multiple regions simultaneously. Run multiple ngrok clients if you need to do this. A domain cannot be reserved for multiple regions simultaneously. It is not possible to geo-balance DNS to the same tunnel name in multiple regions. Use region-specific subdomains or TLDs if you need to do this (eu.tunnel.example.com, us.tunnel.example.com, etc). You may whitelist access to tunnel endpoints on your account. The whitelist is enforced by the ngrok.com servers. It is applied globally to all of your tunnel endpoints. Any incoming connection to any of your tunnel endpoints is checked to guarantee that the source IP address of the connection matches at least one entry in your whitelist. If a connection does not match the whitelist it is terminated immediately and never forwarded to an ngrok client. As a special case, if your whitelist is empty, all connections are allowed. You can manage the IP whitelist on the auth tab of your ngrok dashboard. Enter a new IP address under the "IP Whitelist" section and then click Add Whitelist Entry. Changes to the IP Whitelist can take up to 30 seconds to take effect. Sometimes, you may wish to whitelist an entire range of IPs. Instead of entering just a single IP address, you may instead specify a block of IP addresses using CIDR notation. For example, to allow all IP addresses from 10.1.2.0 to 10.1.2.255, you would add 10.1.2.0/24 to your whitelist. You may pass a path to an explicit configuration file with the -config option. This is recommended for all production deployments. You may pass the -config option more than once. If you do, the first configuration is parsed and each successive configuration is merged on top of it. This allows you to have per-project ngrok configuration files with tunnel definitions but a master configuration file in your home directory with your authtoken and other global settings. If you don't specify a location for a configuration file, ngrok tries to read one from the default location $HOME/.ngrok2/ngrok.yml. The configuration file is optional; no error is emitted if that path does not exist. The most common use of the configuration file is to define tunnel configurations. Defining tunnel configurations is useful because you may then start pre-configured tunnels by name from your command line without remembering all of the right arguments every time. Tunnels are defined as mapping of name -> configuration under the tunnels property in your configuration file. Each tunnel you define is a map of configuration option names to values. The name of a configuration option is usually the same as its corresponding command line switch. Every tunnel must define proto and addr. Other properties are available and many are protocol-specific. PEM TLS certificate authority at this path will verify incoming TLS client connection certificates. You can pass multiple tunnel names to ngrok start and ngrok will run them all simultaneously. You can also ask ngrok to start all of the tunnels defined in the configuration file with the --all switch. Conversely, you may ask ngrok to run without starting any tunnels with the --none switch. This is useful if you plan to manage ngrok's tunnels entirely via the API. Example configuration files are presented below. The subsequent section contains full documentation for all configuration parameters shown in these examples. This option specifies the authentication token used to authenticate this client when it connects to the ngrok.com service. After you've created an ngrok.com account, your dashboard will display the authtoken assigned to your account. URL of an HTTP proxy to use for establishing the tunnel connection. Many HTTP proxies have connection size and duration limits that will cause ngrok to fail. Like many other networking tools, ngrok will also respect the environment variable http_proxy if it is set. size in bytes of the upper limit on memory to allocate to save requests over HTTP tunnels for inspection and replay. Format of written log records. Write logs to this target destination. Opaque, user-supplied string that will be returned as part of the ngrok.com API response to the List Online Tunnels resource for all tunnels started by this client. This is a useful mechanism to identify tunnels by your own device or customer identifier. Maximum 4096 characters. Choose the region where the ngrok client will connect to host its tunnels. The root certificate authorities used to validate the TLS connection to the ngrok server. use the root certificates trusted by the host's operating system. You will likely want to use this option to connect to third-party ngrok servers. URL of a SOCKS5 proxy to use for establishing a connection to the ngrok server. A map of names to tunnel definitions. See Tunnel definitions for more details. The update channel determines the stability of released builds to update to. Use 'stable' for all production deployments. Network address to bind on for serving the local web interface and api. Yes, but you cannot use ngrok's -auth option. ngrok's http tunnels allow you to specify basic authentication credentials to protect your tunnels. However, ngrok enforces this policy on *all* requests, including the preflight OPTIONS requests that are required by the CORS spec. In this case, your application must implement its own basic authentication. For more details, see this github issue. The ngrok client API is exposed as part of ngrok's local web inspection interface. Because it is served on a local interface, the API has no authentication. The Base URL will change if you override web_addr in your configuration file. Request parameters must be encoded to the API using application/json. Ensure that your client sets the request's Content-Type header appropriately. 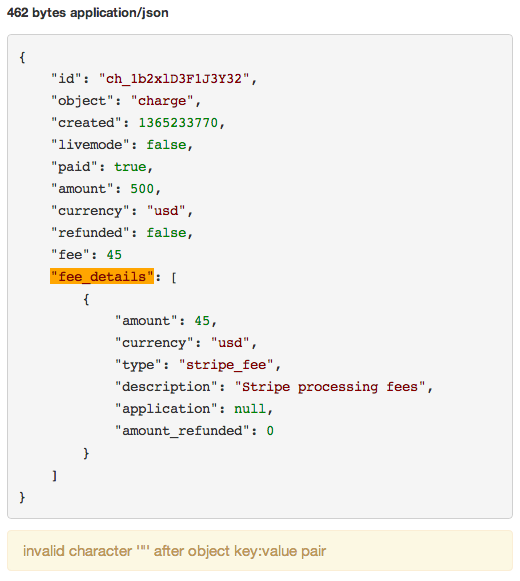 All responses returned by the API are application/json. The ngrok client API guarantees that breaking changes to the API will never be made unless the caller explicitly opts in to a newer version. The mechanism by which a caller opts into a new version of the API will be determined in the future when it becomes necessary. Examples of non-breaking changes to the API that will not be opt-in include the following. Returns a list of running tunnels with status and metrics information. Dynamically starts a new tunnel on the ngrok client. The request body parameters are the same as those you would use to define the tunnel in the configuration file. Parameter names and behaviors are identical to those those defined in the configuration file. Use the tunnel definitions section as a reference for configuration parameters and their behaviors. "Mozilla/5.0 (Macintosh; Intel Mac OS X 10_9_5) AppleWebKit/537.36 (KHTML, like Gecko) Chrome/39.0.2171.71 Safari/537.36"
Returns metadata and raw bytes of a captured request. The raw data is base64-encoded in the JSON response. The response value maybe null if the local server has not yet responded to a request. ngrok makes promises about the compatibility and stability of its interfaces so that you can can confidently build integrations on top and know what changes to expect when upgrading to newer versions. Minor Version Change (2.0 -> 2.1) - ngrok may make small changes that break compatibility across a minor version change. ngrok promises that any breaking change will be preceeded by a release that warns about the behavior that will be changed or deprecated. Major Version Change (2.0 -> 3.0) - ngrok makes no promise that any interfaces are stable across a major version change. Anything other interface like the logging format or the web UI is not subject to any compatibility promise and may change without warning between versions. The ngrok client API no longer accepts application/x-www-form-urlencoded request bodies. In practice, this only affects the /api/requests/http/:id endpoint because posting to the /api/tunnels endpoint with this type of request body previously caused ngrok to crash. This change was made to help protect against maliciously crafted web pages that could cause a user to inadvertantly interact with their local ngrok API. Behavior changes for http and tls tunnels defined in the configuration file or started via the API that do not have a subdomain or hostname property. Given this example tunnel configuration, behavior will change in the following ways. This behavior changed in order to make it possible to launch tunnels with random domains. This was preventing the use of the configuration file and client API to free tier users. ngrok does not log or store any data transmitted through your tunneled connections. ngrok does log some information about the connections which are used for debugging purposes and metrics like the name of the tunnel and the duration of connections. For complete end-to-end security, use a TLS tunnel. How do I pronouce ngrok?